This week in playgroup we are talking about flowers. 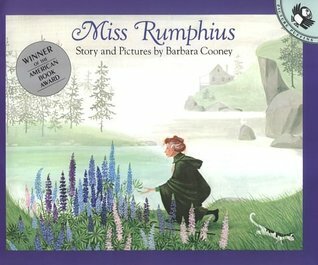 We read one of my favorite children’s books, Miss Rumphius. It was a little beyond our age group, but the kids enjoyed the pictures and got what they could out of the story. 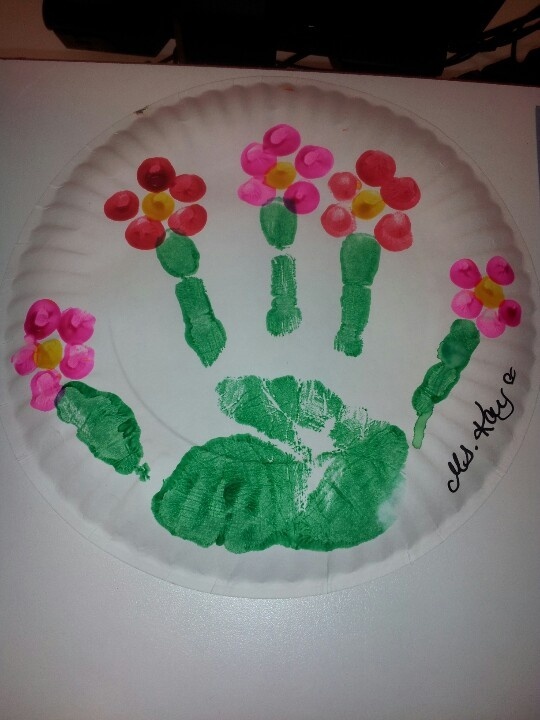 Paint your child’s hand with green paint and “stamp” it on the paper or paper plate. Next have the child pick out what colors they would like their flowers. With yellow make 5 dots for the middle for each flower. Then make their chosen color of dots around the yellow dot to form a flower. Welcoming a newborn baby into your home is an overwhelming experience. Like other first-time parents, you are probably experiencing feelings of excitement and anticipation, as well as anxiety and uncertainty. The next few years of your child's life are very critical, and parents play a vital role in promoting healthy growth and development. Because children don’t come with a user’s manual, parents are left to follow their instincts, rely on previous knowledge, research the answers or ask family and friends for advice. It is definitely a learning experience, but not one that has to be done alone. Welcome Baby offers several different levels of support to first-time parents. This entry was posted in Activities, Crafts and tagged Activities, Books, crafts, flowers, hand prints, Miss Rumphius, Playgroup. Bookmark the permalink.